If you go to the Lexus Dealer because of a lost keys situation, they will have to replace the computer in your car. Replacing the computer in your vehicle can cost up to $2500.00 for the parts, labor, programming and new keys. We provide fast service on reflashing, and can ship it back to you overnight if you need it in a hurry. *If you only have 1 Master key, please contact us to get another Master key for a spare. 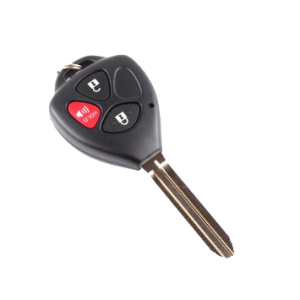 WE ALSO REPAIR REMOTE HEAD KEYS, AND PROVIDE REPLACEMENT ELECTRONICS THAT GO INSIDE THE HEAD OF THE REMOTE KEYS. 1. Reflash cars computer (ECM, ECU, or ICU) so it will accept new keys. 2. Cut 2 new non-remote keys. 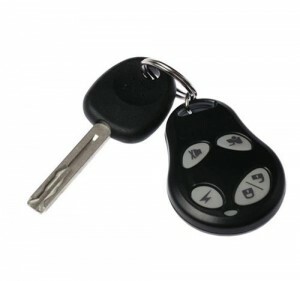 (remote head keys available at additionalcost). 3. Provide (step by step) instructions on how to program keys into car. 4. Provide you with fast service. We can ship back to you the next day after wereceive your package. 5. We can provide this complete service on site, which includes coming toyour location, removing and reflashing the ECM, ECU or ICU, cutting and programming the new keys into your vehicle. Please call us for more details and the cost of this service. 1. Remove your cars computer (also called ECM, ECU or ICU). This is easy to do and we provide instructions and free tech support over the phone. 2. Remove a passenger door lock, if it doesn't have one on the passenger side the drivers side will be ok, if we are cutting the keys for you. 4. Print and fill out authorization form for us to provide this service to you. THIS PAGE MUST BE SENT WITH YOUR COMPUTER. $15.00 , Second Day $45.00 , UPS Next Day $65.00 Please Call us if you live outside the USA for a shipping price...We will be glad to help. 7. These are the basics to how it works. If have any questions, need a total foryour order or have special needs feel free to call us. We want make sure we get your order right and you get exactly what you want the fastest possible. If you would like to pay with PayPal you can do it here. Your TOTAL depends on your shipping needs...use the chart above to get your total w/shipping if you live in the USA.If you live outside the USA call us for your total. You will then enter that total amount w/shipping at the top of the PayPal page and click update total. If you would like to pay with PayPal you can do it here. Your TOTAL depends on your shipping needs...use the chart above to get your total w/shipping if you live in the USA.If you live outside the USA call us for your total. Once you have the total you can click the PayPal button below... You will then enter that total amount w/shipping at the top of the PayPal page and click update total.